Ron and Maggie Tear Photography: Streets of London. Taken at the recent Harvest festival at St Martins in the field, Trafalgar Square. 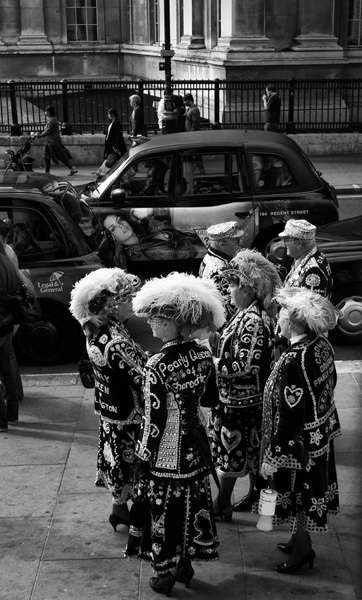 The Pearlies festival for charity, refined costumes and characters of distinction. St Martin in the Fields church, Trafalgar Square, London, UK.